Friday 12 October, I left work at about 16:40 and took the tube to Paddington and boarded the Heathrow Express. It meant arriving at Heathrow a little earlier than required but it allowed me to avoid the usual rush-hour crush on the tube. I met up with Alex in the lounge and we were soon boarding and on our way to Mumbai. After one film and dinner I was able to sleep right up until the pre-arrival breakfast. Saturday 13, upon arrival in Mumbai I exited the aircraft through 1st class and waited for Alex on the gangway. Little did I realise that there was a second gangway at the back of business that Alex had used. Little matter as I was able to catch up with him in the terminal building. I was disappointed to find that the immigration counters were still unable to deal with the ‘eVisa’ and we were taken out of our queue and once again re-directed to the far end of the arrivals hall for the small number of counters able to process these visas (which you are still required to print out!). Alex picked up a few Rupees from an FX counter in the arrivals hall and like last time the ATM didn’t like me Revolut card. We exited the building and scanned up and down the waiting drivers but didn’t spot our names. I spoke to the Taj Mahal Palace representative who offered to take us but I suspected our own pre-arranged driver was en-route. Sure enough, after checking my emails I realised we were 40 minutes early and a quick call from the Taj rep confirmed our driver would soon be with us. Mangal soon arrived, mentioning he had been scheduled to arrive at 12:30 in case we were unhappy about waiting, we weren’t despite the rising humidity and the fact we weren’t allowed to re-enter the ai arrivals hall. That afternoon Alex went on a tour of the Dharavi slum while I relaxed in my room and took the opportunity for a short snooze! We met up for dinner at the Shamiana restaurant. The dish I ordered was decent but not as good as what Emma and I had both selected the previous year. 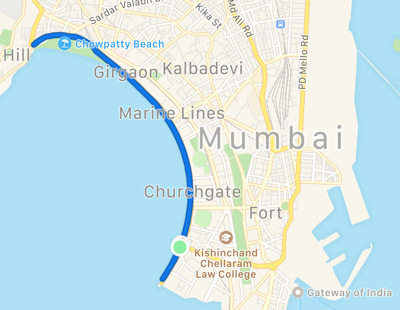 Sunday 14, I managed to get up and out by about 7am for a run along Marine Drive. It was really hot, humid and very smoggy. Even though it was a little under 9km the run really took it out of me and I was dripping with sweat by the time I finished. 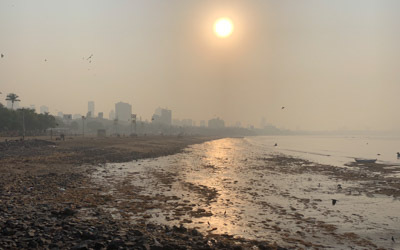 As I looked back from my halfway point the thick smog meant I couldn't even see my starting point only around 4km away. I met Mala in the lobby at 09:30 and whilst chatting I messaged Alex to find he had slept through his alarm so delayed the start of his tour a little so he could grab some breakfast. Whilst Alex was on his tour I finished a lazy breakfast and sat in the lobby reading “Running with the Kenyans”. By 14:00 we had checked out and Alex had lunch before we left on the somewhat less than pleasant drive to Pune. Everything was fine until about half way along the expressway when I noticed our driver being even more erratic than usual, drifting between lanes and breaking for no apparent reason. I’m fairly sure he was tired and struggling to stay awake. I told him we should take a break but he said he was fine. Thankfully we weren’t far from the usual rest stop, where we did call, and that seemed to improve things for the rest of the journey. That said I’ve never been happier to see the heavy traffic of Pimpri-Chinchwad and Pune and the slower driving it resulted in! 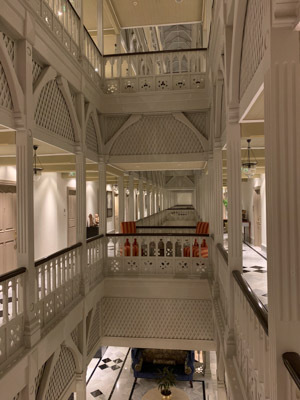 Upon arrival at the Sheraton we discovered that Bene, the Italian restaurant, was closed; the hotel was undergoing some renovation work; and the transfers to the office were no longer included in the price of the room. 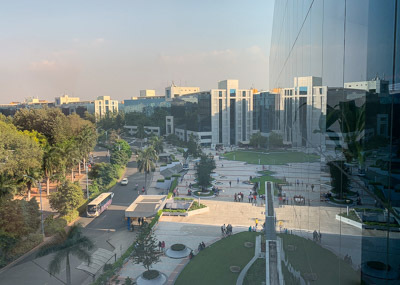 We were charged nearly 2500 Rupees for a one-way journey into the office, which with Alex and I working different hours, would have meant a total taxi bill of £1000 for the trip - clearly that couldn’t happen! 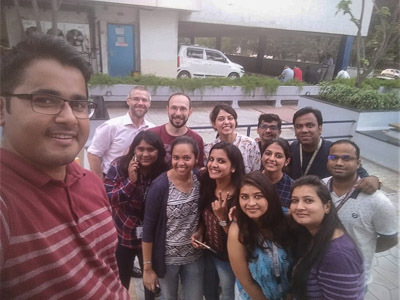 Monday 15, given it was Alex’s first time visiting the Pune office I thought it a good idea to accompany him on the early shift. I was up at 06:20 for a quick trip to the gym before breakfast and our extortionate taxi ride into Magarpatta City (which in the end they forgot to charge for!). As always it was great to be able to spend some time with the team and meet a few new faces. 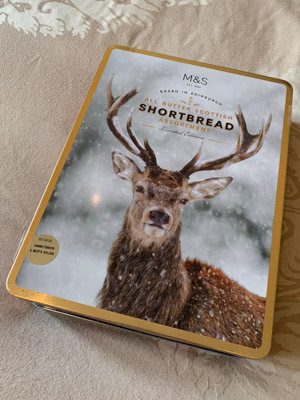 I had picked up a box of M&S shortbread as a small gift. Alex had also picked up some chocolates but unfortunately left them in the mini-bar in Mumbai. I withdrew 8000 Rupees from the ATM at work, which even with the 200 Rupee fee yielded a good rate of nearly 95:£. During the day we decided to try using Uber instead of the hotel taxi. Alex and I left together at about 7pm. The journey back to the hotel cost us just 312 Rupees. 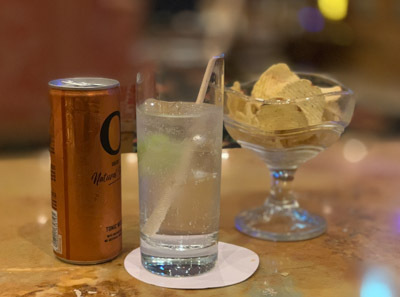 With Bene closed I didn’t need a full buffet dinner so left Alex to it and got myself a bar snack and a G&T. The rest of the week followed much the same schedule with an early trip to the gym followed by breakfast and an Uber ride into the office around midday. The fares were typically between about 180 and 320 Rupees depending on traffic. Various tasks relating to the build of a new website for Newton, plus the usual BAU workload, meant there was a lots to do. I typically got into the office a little early and left after 21:30. 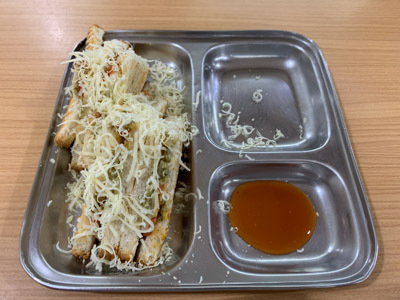 Each day I had lunch in the canteen with the team, typically Poha (flattened rice) with a thin curry sauce but occasionally switching to a toasted cheese salad sandwich. Part way through our trip BNYM switched from using the old Sodexo cards to a smart phone app for the purchase of food. I found it hilarious that despite the introduction of some technology you still had to queue up and ask the guy with the comb-over for a receipt before going back to the food counter to place your order! Saturday 20, I got up a little later but still managed to get to the gym before breakfast. I spent the day relaxing, reading in my room or on the terrace and during the late afternoon spending a little time reviewing photos and updating my travel blog. 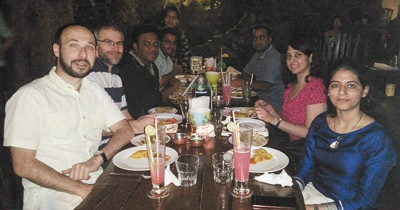 Alex spent the day with his team touring around Pune and we met for dinner at the rooftop Indian restaurant. I finished the evening with a couple of G&Ts in the bar. Sunday 21 was another lazy day for me! I finishing my book and most of my remaining photos. 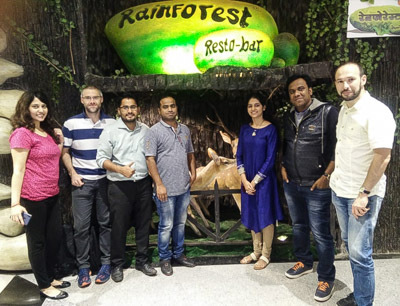 Thursday 25, we all left a little early and went to the Phoenix mall for dinner at Rainforest ‘Resto-bar’. We started the meal with a cheese fondu and shared a couple of chicken curry dishes and bread for the main. Friday 26, our final day in the office and we celebrated some team birthdays with cake and a game of charades outside. We said our goodbyes to the team and they once again very generously provided us with a wide selection of treat to take back to London. Saturday 27 and the not typical 6am departure to Mumbai airport. The journey was just as nerve wracking as the one to Pune but this time with a driver who insisted on driving at break-neck speed through the traffic. Not pleasant considering the poor quality of the vehicle and the road. Thankfully we made it to the airport unharmed but I think that’ll be the last time I make the road transfer!